Sports on campus is a big part of the college experience. Going to playgound, wearing the house uniform, shoes, warm ups, the screech of a referee whistle all serve to unite the student and provide a chance to enjoy some recreation to refresh their minds for further learning when classes let out. RCET offers all round development of students, by giving importance to physical education. The Department of Physical Education to instill the spirit of sportsmanship in technical students, to help them learn discipline, leadership quality, teamwork, and encourage them to participate in smorgasbord of activities such as Basketball, Volleyball, Badminton, Table Tennis, Cricket, Handball, Football, Chess, Throw ball, Athletics Kho Kho etc. 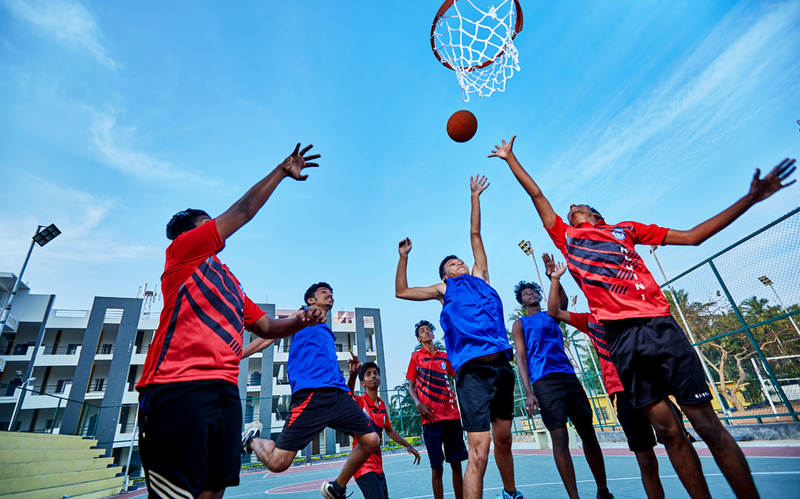 It also organizes Intramural activities, Extramural activities, coaching for various games and training for elite sports competitions. Some athletes are eligible for sports scholarships through the colleges. College sports allow you to Make connections... , you are likely to form deeper friendships with your teammates than with anyone else at college.It also helps to Discover and deepen the passion. The breadth of intramural sports allows you to find and develop new interests that you might not discover elsewhere. Meanwhile, the depth of the extramural sports encourages you to hone and perfect the skills you already possess. Additionally, playing a sport teaches valuable time management skills that allow you to make the most of those blocks set aside for strictly studying. of both winning and losing! Our women Chess team secured 3rd position in Zonal Chess Tournament conducted by DMI College of Engineering. Our Athletic team won 30 medals in Zonal Athletic meet conducted by Loyola Institute of Technology & Science. Our cricket team secured 4th position in Zonal Cricket Tournament conducted by Rajas Engineering College. Our Athletic team secured 4th & 5th position in Inter Zonal level meet conducted by Adhiyaman College of Engineering, Hosur. Our Kabadi team won 2nd prize in district level Kabadi Tournament and received Einstein Trophy. Our men Throw ball team secured 4th position in Inter Collegiate Throw ball Tournament conducted by Einstein College of Engineering.